The visitors gave their city rivals a tough game at the Camp Nou, but Messi's chipped free-kick with 19 minutes to play and a late second sent the reigning champions 13 points clear at the top ahead of second-placed Atletico Madrid's game at Alaves later on Saturday. 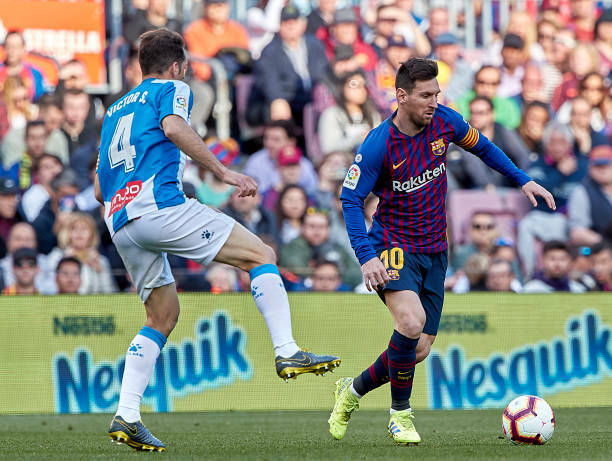 Ernesto Valverde's men struggled to break down Espanyol early on, with Messi, Suarez and Ivan Rakitic all wasting half-chances in the first period. But Lionel Messi has been consistently unplayable this season, and he dinked in a wonderful effort from a set-piece despite Victor Sanchez's best efforts to clear on the line.